‍There are so many new things coming to Disney this year that you need to plan to visit Disney World in 2017 to experience them all! Chris and I always try to schedule our Disney trips around openings of new attractions. The past few years have brought a lot of changes to Disney World (have you seen Disney Springs lately?!) and it’s been fun to go and be a part of opening day for new attractions. My favorite still has to be getting to eat at Be Our Guest the weekend it opened, definitely a memory I will never forget! At the start of another new year there is a lot to look forward to at Disney World. Lots of new attractions opening, a new Epcot Festival, and even some fun stuff for foodies at Disney Springs! That, and more, is why you need to visit Disney World in 2017! Chris and I have been annual passholders at Disney World since our wedding in 2012, and because of those passes we have been able to enjoy a lot that Disney has to offer. We are very fortunate to average 4-5 trips a year, and Chris’s job is flexible enough where we can plan to be at the parks for the openings of new rides and attractions. The big opening this year that everyone is looking forward to is Avatar Land. While I’m sure we won’t be planning a summer visit (it’s way too hot y’all) we will definitely be heading out there in the Fall to experience it. In the meantime though, there is plenty more that is coming to Disney that will hold us over until we can get to Avatar Land this Fall. This is why you need to visit Disney World in 2017! You can get into the Magic Kingdom even earlier each day! With the train station being refurbished the much-loved welcome show is being moved to the stage in front of Cinderella’s Castle. Because of this, Disney is opening Main Street early so that park-goers can get inside and do some shopping or grab a cup of coffee before the park officially opens for the day. Then you can make your way to the castle and watch the show before heading off to get in line for your favorite rides. There is no word as-to whether this is a permanent change or not, and if you want to try to get in early to take a picture of the castle with no people in it you may have issues. I’m not a huge fan of Animal Kingdom and the only rides I enjoy are Everest, Kali River Rapids, and the Safari, but with Avatar Land opening sometime this year I’m hoping there will be more for me to do and love. I won’t lie and say that I love Pandora but I definitely think Animal Kingdom needs an expansion and hopefully this will get park attendance up and there will be loads more to do and see! Read the full review of the new land here. I feel like we’ve been talking about Rivers of Light opening for forever, probably because it was set to open in 2016 and they ran into problems that postponed it. They did have a soft-opening a while back for Cast Members and their friends so hopefully that means the show will be available to all of us at the beginning of this year! 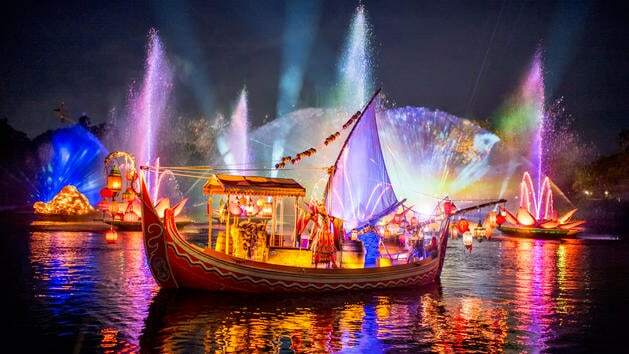 Even so, Animal Kingdom finally has nighttime hours so even if you go before the Rivers of Light show is ready you should definitely do the park in the evening. Riding Everest in the dark is so fun and a must-do! Disney Springs is getting new restaurants! 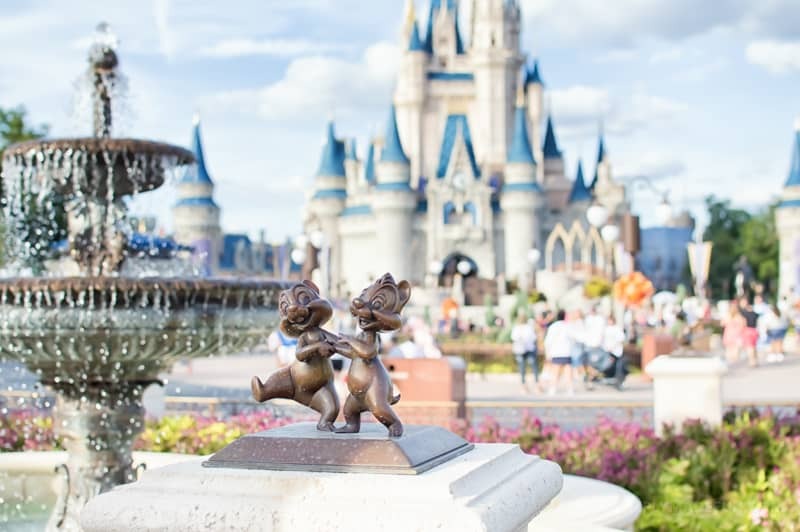 DS is constantly expanding and this year they are getting five new restaurants for Disney lovers to enjoy! If you consider yourself a foodie then you need to put a few of these restaurants on your must-try list and get a reservation as soon as you can. They all sound so good! The Edison (a gothic-industrial themed restaurant) will feature live entertainment, American cuisine, and craft cocktails. Paddlefish is the former Fulton’s Crab House and it’s reopening with a new seafood menu and a rooftop lounge that will give you a spectacular view of Disney Springs! Planet Hollywood Observatory will have a new flavor-packed burger and sandwich creations from celebrity chef Guy Fieri. The Polite Pig is the sister restaurant to Ravenous Pig (which is a restaurant Florida locals love!) and will focus on genuine Florida cuisine that has lunch and dinner menus. Wine Bar George will have more than 100 selections of wine (both by bottle and glass) and small plates of food to snack on! There’s going to be a Star Wars Guided Tour. This seven-hour guided tour will be led by a tour guide and includes: a journey on Star Tours, an opportunity for children 4-12 to participate in Jedi Training: Trials of the Temple, a guided tour of the Star Wars Launch Bay, dinner at a quick-service restaurant featuring Star Wars items, and the Star Wars Galactic Spectacular Dessert Party. Epcot gets another Festival (the International Art Festival)! In January, Epcot will hold the International Festival of the Arts for six weekends. Held Friday’s through Monday’s the Festival will feature new art each weekend at the park. This festival will run from January 13th to February 20th. 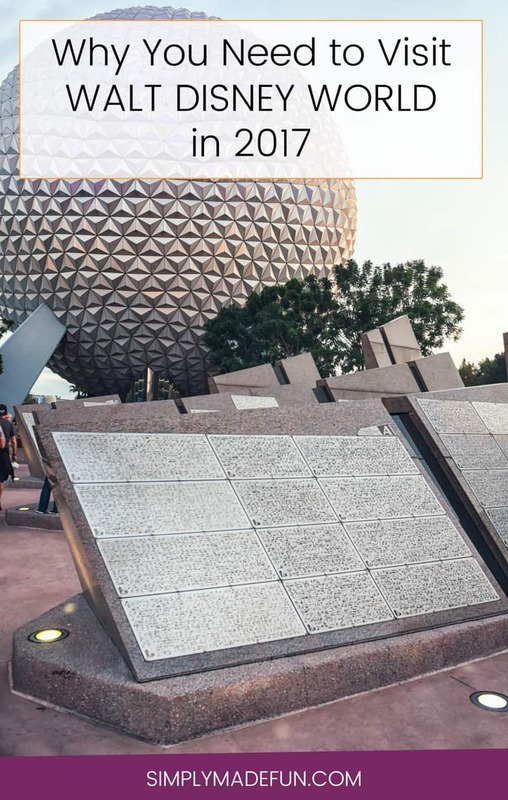 Don’t forget about the other (reoccurring festivals) at Epcot either! Remember that festival weekends are always more crowded because the locals like to swing by and check them out! If you can do the festivals during the week you’ll deal with lower crowds and shorter lines. While this is not possible for the Art Festival, it’s something to keep in mind for the Flower & Garden and Food & Wine! With all that is happening this year, it’s going to be pretty eventful at Disney parks. Which new thing are you most looking forward to, and which one will you visit Disney World in 2017 for? Went to WDW at the end of February! Got to see the River of Lights show at Animal Kingdom and it was beautiful! Such an amazing show! But then again isn’t everything Disney beautiful and amazing?! I wish I could go as often as you! At least where you are waiting until fall to visit Pandora will help cut down on the crowds that the new attractions tend to generate! Sad that we where too early to catch the opening of Pandora but already planning our next trip! So much to do so little time! Great article! Thanks for sharing!